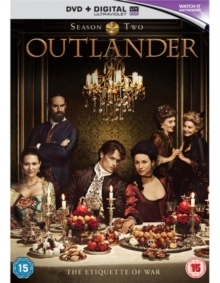 All 13 episodes from the second season of the British-American drama series based on the novels by Diana Gabaldon. In this season, Claire (Caitriona Balfe) returns to her own time after living in the 1740s for two years. As she attempts to explain to her husband Frank (Tobias Menzies) where she has been, the story flashes back to when Claire and her 18th-century husband Jamie (Sam Heughan) travel to France to try to change the course of history.